After winning Site Selection magazine’s coveted Governor’s Cup for the second year in a row and recently electing Gov. 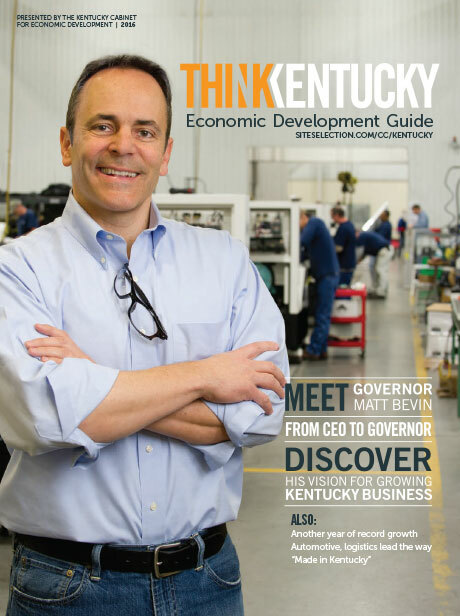 Matt Bevin, Kentucky has proven that it’s a state primed for business. A successful facility expansion marks the beginning of Kentucky’s strategy to help companies thrive, not the end. Major announcements by manufacturers and suppliers demonstrate the strength of the Bluegrass State’s automotive industry. Bourbon remains king, but other Kentucky spirits gain ground.